The Caversham Marquis is a stunning way to enjoy the water with friends and family. 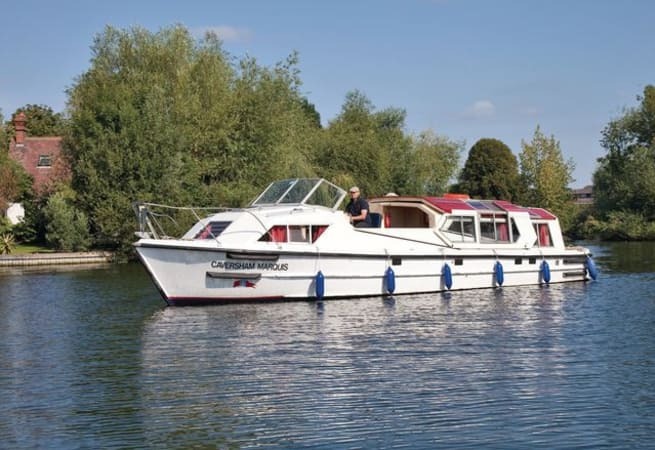 She is available for bareboat charter, prices start from £839.00 for the weekend and £1199.00 for the week. Sliding canopy over stateroom with side door for easy access when closed.